At the dawn of World War II, although biological and chemical weapons had been used previously in warfare, little was known of precisely how they worked on the human body. Curious, certain Japanese researchers in its army unit 731 conducted a series of indescribably cruel experiments testing the limits of the human body when subjected to harsh conditions, poisonous substances and lethal diseases. Building from the ashes, literally, of a previous program, the “Epidemic Prevention and Water Purification Department of the Kwantung Army” (Unit 731 for short) was authorized in 1936. Bases were established at various places in China (occupied by Japan during the Second Sino-Japanese War), including at Pingfang and Hsinking. Referring to their victims as maruta, meaning logs, the researchers experimented on, apparently, anyone they could get their hands on: Chinese, Russians, Koreans, Mongolians, Pacific Islanders, other South East Asians and even a few American prisoners of war all fell victim to the doctors at the camps. Victims were purposely infected with fatal, contagious diseases like the bubonic plague so researchers could learn exactly how the diseases affected the human body; because they feared that decomposition (which begins immediately once a person dies) might corrupt tissues, they dissected their victims alive. Likewise, because they worried that drugs might blemish their findings, the victims were given no anesthetic. Rather, they were vivisected while fully conscious of what was happening. The scientists wanted to learn the limits of the human body, and, so, conducted a number of tests on their victim’s arms and legs. Sometimes, the limbs were frozen and thawed in order to study how frostbite and gangrene developed. At other times, limbs were cut off and sewn back onto the other side of the body. In a few experiments, when the limbs were removed, researchers just observed the loss of blood. 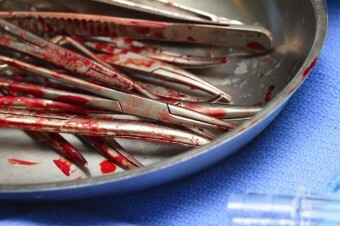 Many victims had all or part of their organs removed, and some even had organs detached, then re-attached, in unique ways nature never intended. Experiments were also conducted with high pressure, poisonous chemical exposure, centrifuges, burning, blood infusions from animals, burying and x-rays. Of course, since the purpose of these tests was to determine how much a body could withstand, the experiments would continue until the test subject was dead. It is not known how many victims fell prey to these types of tests. However, estimates of the deaths at Pingfang (called by some the Auschwitz of the East) range from 3,000 to 12,000. Victims included women and men, as well as children and babies. One of the fruits of unit 731’s labor was the development of bombs capable of delivering anthrax and the bubonic plague; these were tested in various places throughout China. In addition, fleas infected with the plague were dropped from airplanes in Manchuria as well as the Chinese cities of Changde and Ningbo. Furthermore, ponds and wells were seeded with typhoid, cholera and dysentery. Estimates of Chinese dead from these various experiments go as high as 200,000. In late 1944 and early 1945, the Japanese lofted thousands of incendiary balloons across the Pacific with the intention of starting massive forest fires on the West Coast. Luckily, only a few landed, causing nearly no damage (although six people died when a child inadvertently set one off). It has often been speculated that these balloons were, at least in part, an attempt to determine the viability of using balloons to send plague-infected rats and fleas across the Pacific to the U.S. The balloon idea was rejected, but the lure of using biological weapons remained. In fact, to thwart an American planned offensive on Saipan in the Mariana Islands in 1944, the Japanese loaded a submarine with biological weapons to be deployed in the battle. It sank before the weapons could be unleashed. Next up was “Operation Cherry Blossoms at Night”, a plan that involved filling planes with plague-infected fleas and having kamikazes crash them into American assets in San Diego (home of a large air base and major naval repair yard). The attack was set for September 22, 1945. It is unknown if the plan was ever viable, since Japan’s surrender on September 2, 1945, following the nuclear bomb attacks on Hiroshima and Nagasaki, rendered such a biological attack moot. At the end of the war, unit 731 scientists destroyed much of the evidence of the program. According to reports, however, some infected test animals were released; it is believed that at least 30,000 people died from the plague in the Pingfang area within the first three years after the war. Like the German rocket scientists and engineers who were folded into military and other governmental programs at the end of World War II through Operation Paperclip, unit 731’s scientists were given immunity from prosecution and their atrocities were covered-up in exchange for exclusive access to their findings. By some accounts, the atrocities committed by the Japanese researchers in China were not limited to unit 731’s scientists. In 1995, a Japanese doctor told Nicholas Kristoff of The New York Times that, in 1942 as a medical student, he and his colleagues traveled to China where they practiced vivisection, amputation and other operations on Chinese victims before euthanizing them. An often forgotten bit of WWII history is that Japan engaged in significant operations along the West Coast of the United States. In 1941 and 1942, nearly a dozen Japanese submarines harried American ships up and down the coast from the Baja peninsula to the Aleutian Islands. In fact, the Ellwood Oil Field near Santa Barbara, California, as well as Fort Stevens, Oregon, were each bombed on February 23 and June 21-22, 1942, respectively. the dark side of science and humans. The immunity from prosecution was authorized by none other than President Truman and his top level advisors, men devoid of morality. Today while piddly nazi camp guards are hunted down all over the world, the criminals in the US government together with the butchers of Unit 731 have never been prosecuted. There is no justice in this wretched world. Yea. That’s horrible. Maybe at the time they felt their might be more useful information to gain. Hopefully they did regret that deal. Its hard to imagine that they’re maybe scientists today, who would value science above, their human moral fraternity, may it never happen again. Agreed DCC – to think immunity was given to such people – whilst minor guards have been prosecuted to the ends of the earth. And to think that an accountant who worked at a concentration camp is now on trial in his 90’s for “war crimes” is the same man who appeared in a documentary helping to expose the horrors of the final solution,yet most of the animals who actually carried out these horrific crimes not only got away,but lived thier lives in luxury c.o south american governments,makes ya want hell to actually exist!!! Many consider the atrocities committed by the Japanese equal or even worse than the nazis, yet nothing is really ever mentioned. The Nanking massacre is another episode which is slowly being remembered every year and rightly so. Over 300000 people murdered raped and tortured, I hope China and the allies remember this heinous episode every year, beyond barbaric! Japan will never apologize for the actions of Unit 731 for doing so will force it to admit that the organization was sanctioned by Emperor Hirohito and undo its Japan as victim of the A-bomb narrative it has taught two generations of Japanese. An apology by Japan will also expose the heinous exchange of data with the US authorities and pressure the USG to admit to the criminal exchange. Thus the most horrendous crime of WWII will forever remain buried and the 12,000 human guinea pigs never receive the justice they deserve. It’s very bad that the people were not given anastasia while treatment was being given. It is an excellent idea of giving them treatment. This is a good article. By the it is very interesting. And Obama was over there praising them. Imagine a relative being compared to these butchers. They are scientist. Technically their victims are germs grown into something walking and talking but basically and Scientifically, humans are animals, part of the animal kingdom. why treat them differently? They have no soul, they have no purpose, they have no savior. Compassion is in the mind, like God! Ok I can see the point but it doesnt not justify – and you can bet the bacon that there quite a few psychos in there too…. 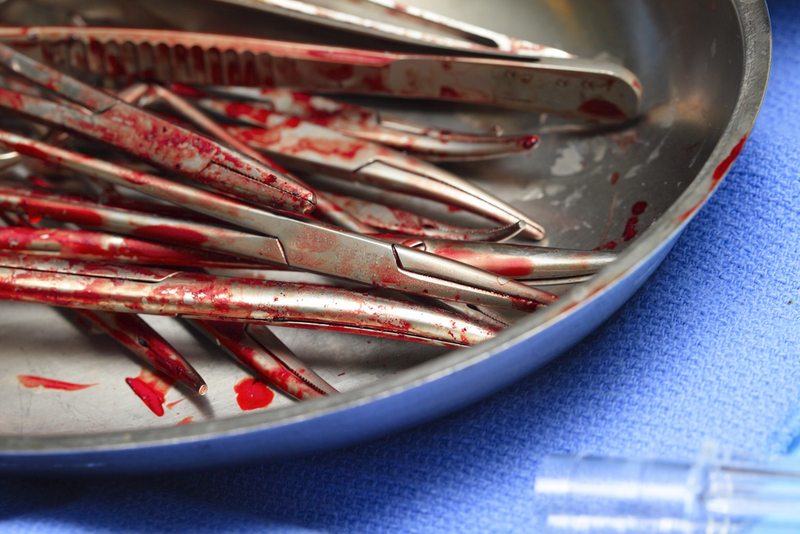 What if it was you under the knife? Would you look at yourself as a germ, and let them have a go at it “for science”? If this is theeir mentality, they are themselves subhuman. To see no value to human life, to grant no dignity to the human person is both psychotic and demonic. As the Russians were the inventors of concentration camps – the Japanese were the inventors of holocausts. History is written by the winner… so the US and Russia decided Germany would be he focal point of all the atrocities and Russia could assist in sitting in judgement. Nice huh?